The delay between this review and the previous one is totally artificial. In all actuality, as soon as I finished Numbers Ignite, I started reading Numbers Raging. So, if I get the stories of the two novels a little mixed up, it’s because the two books have kind of run together in my mind. But enough with the excuses, and on to the review! The ECA have made their intentions clear: annihilation of NORA and the surrounding areas. Treena and Vance know the threat is real, and they also realize that they need help. As councilwoman of NORA—a position which has been more figurehead than function—Treena goes to the international convention to plead her nation’s case and ask for assistance. With Vance functioning as her bodyguard, she enters the shark-tank of politicians while she tries to make allies. During the trip, Treena and Vance’s relationship gets strained, Vance’s settlement crumbles under a mysterious illness, and someone is trying to assassinate Treena. I thoroughly enjoyed this book. As the story progressed, more and more bad things kept piling onto the main characters, keeping me at the edge of my seat while I wondered how Treena and Vance would make it through. About two thirds through the novel, I had the realization that this is the last installment, and there were no guarantees that any character would survive through the end, making everything even more tense. No spoilers, but the suspense is real! Sometimes while reading young adult novels, I have to remind myself that the characters are young and more likely to make some choices that aren’t completely thought through. However, Treena’s naivete at the convention and inability to realize what was going on RIGHT IN FRONT OF HER stretched the character’s believability. Even Vance and Jasper were warning her, It’s a trap! Overall, I loved this series and highly recommend it. 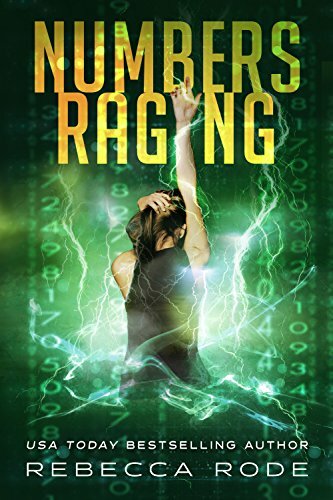 If you like dystopian stories or political intrigue, then you’ll enjoy Numbers Raging. I enjoyed this entire series so much, I decided to do a giveaway to share it with you! I’ll be giving away a paperback copy of Numbers Game and a kindle copy of the entire Numbers Game Saga. Click the links below for all the giveaway rules and to enter.